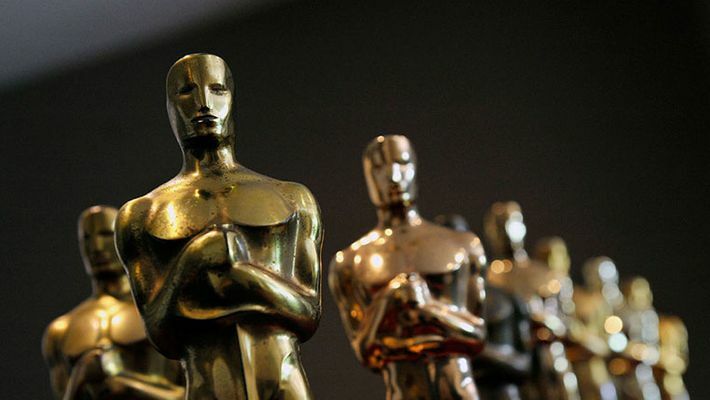 The nominees for the 91st annual Academy Awards were announced on Tuesday by the Academy of Motion Picture Arts and Sciences in Beverly Hills, California. Tracee Ellis Ross and Kumail Nanjiani announced the nominees in 24 categories - from the best picture and acting performances to production and costume design beginning. Best Picture "Black Panther" "BlacKkKlansman" "Bohemian Rhapsody" "The Favourite" "Green Book" "Roma" "A Star Is Born" "Vice"
Best Actress Yalitza Aparicio, "Roma" Glenn Close, "The Wife" Olivia Colman, "The Favourite" Lady Gaga, "A Star Is Born" Melissa McCarthy, "Can You Ever Forgive Me?" Best Actress in a Supporting Role Amy Adams, "Vice" Marina de Tavira, "Roma" Regina King, "If Beale Street Could Talk" Emma Stone, "The Favourite" Rachel Weisz, "The Favourite"
Best Actor Christian Bale, "Vice" Bradley Cooper, "A Star Is Born" Willem Dafoe, "At Eternity's Gate" Rami Malek, "Bohemian Rhapsody" Viggo Mortensen, "Green Book"
Best Actor in a Supporting Role Mahershala Ali, "Green Book" Adam Driver, "BlacKkKlansman" Sam Elliott, "A Star Is Born" Richard E. Grant, "Can You Ever Forgive Me?" Sam Rockwell, "Vice"
Best Director Spike Lee, "BlacKkKlansman" Pawel Pawlikowski, "Cold War" Yorgos Lanthimos, "The Favourite" Alfonso CuarOn, "Roma" Adam McKay, "Vice"
Best Cinematography Lukasz Zal, "Cold War Robbie Ryan, "The Favourite" Caleb Deschanel, "Never Look Away" Alfonso Cuaron, "Roma" Matthew Libatique, "A Star Is Born"
Best Production Design "Black Panther" "The Favourite" "First Man" "Mary Poppins Returns" "Roma"
Best Costume Design Mary Zophres, "The Ballad of Buster Scruggs" Ruth Carter, "Black Panther" Sandy Powell, "The Favourite" Sandy Powell, "Mary Poppins Returns" Alexandra Byrne, "Mary Queen of Scots"
Best Original Score Ludwig Goransson, "Black Panther" Terence Blanchard, "BlacKkKlansman" Nicholas Britell, "If Beale Street Could Talk" Alexandre Desplat, "Isle of Dogs" Marc Shaiman, "Mary Poppins Returns"
Best Film Editing "BlacKkKlansman" "Bohemian Rhapsody" "The Favourite" "Green Book" "Vice"
Best Sound Editing "Black Panther" "Bohemian Rhapsody" "First Man" "A Quiet Place" "Roma"
Best Sound Mixing "Black Panther" "Bohemian Rhapsody" "First Man"" "Roma" "A Star Is Born"
Best Visual Effects "Avengers: Infinity War" "Christopher Robin" "First Man" "Ready Player One" "Solo: A Star Wars Story"
Best Animated Feature Film "Incredibles 2" "Isle of Dogs" "Mirai" "Ralph Breaks the Internet" "Spider-Man: Into the Spider-Verse"
Best Foreign-Language Film "Capernaum" "Cold War" "Never Look Away" "Roma" "Shoplifters"
Best Documentary Feature "Free Solo" "Hale County This Morning, This Evening" "Minding the Gap" "Of Fathers and Sons" "RBG"
Best Documentary Short Subject "Black Sheep" "End Game" "Lifeboat" "A Night at the Garden" "Period.